This utterly bonkers book is a big hit with Ivy. 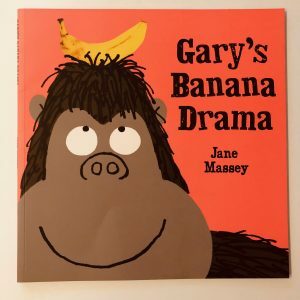 The illustrations are really vibrant and she finds the idea of everything looking like bananas really funny – particularly the crocodile with the banana phone and the man with the banana moustache! I also have a lot of empathy with Gary. Bananas aren’t my thing but I had very similar feelings about cheese when I was pregnant with Ivy!